J.Q. Dickinson Salt-Works opened in Malden in 2013, but its story dates back hundreds of years. Native Americans were the first to discover the salt seeps they called the Great Buffalo Lick, a 10-mile stretch of land along the Kanawha River. They boiled brine from the springs to make salt. In the 1800s, white settlers began mining this area they called the Kanawha Salines, and the salt industry was born. This entry was posted in small business feature on March 20, 2019 by sbdcadmin. Bearwood Company: proof that starting a small business in the middle of a career is possible. The successful start Bearwood Company in Hurricane, W.Va. has enjoyed since opening in 2016 is proof that something old can be made new again. 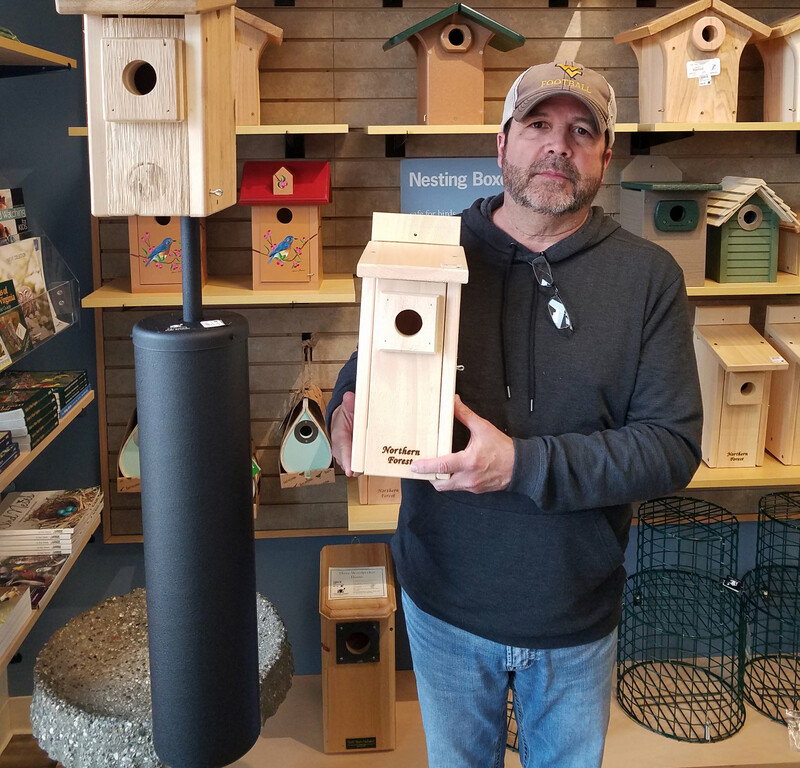 Like the reclaimed lumber the popular woodworking company turns into beautiful furniture and ornaments, owner Matt Snyder recreated his career by leaving a high-stress job in news to start Bearwood. Dale Morton, owner of Dale Morton Studio Mascot Costumes, has been making costumes for nearly 20 years. The highly detailed custom creations coming out of his small studio in Hurricane, W.Va., have graced football fields and theater stages, entertained celebrities and professional athletes and been used in marketing campaigns for small businesses and large corporations. And for the last two years, he’s been working with the West Virginia Small Business Development Center to grow his business. This entry was posted in small business feature on March 19, 2019 by sbdcadmin. Wild Birds Unlimited is a franchise nature shop. We sell bird food, feeders, nesting boxes and accessories. I’ve been feeding and housing birds since I was about 10 years old. About eight years ago, while visiting a friend in Winchester, Virginia, I happened to walk into a Wild Birds store. I instantly fell in love with the store and the quality of products they had to offer. I decided right then that this would be the perfect second career for me. Five years later, I decided to take my chances and do it, thinking that if I waited around too long, someone else might beat me to it. This entry was posted in small business feature on March 18, 2019 by sbdcadmin.